Heat shrink tube is made with the new high technology skills by heat shrink tube manufacturers. It is to make the molecular structure turn from line shape to three dimensional structure. So it can enhance every performance of our product. HONT is one of the heat shrink tubing manufacturers. It provides top quality products and service to its customers. All these are so deep favored by users from home and abroad. The working wide range of heat allows from -55℃ to 125℃. They are available to be long time used in acid and base circumstance. The starting shrinking temperature is 70℃. And the entirely shrinking temperature is 125℃. HONT heat shrink tube is produced by the heat shrink tube manufacturer in China. It si soft. It is resistant to flaming, fast shrinking. And it is environmentally friendly. Besides, it has a stable performance. It is widely used in the connecting of kinds of wires. And it is used for insulating protection of welding points and electrical inductance. The products made by heat shrink tube manufacturer HONT, provides solutions for the ends of electrical wires. It is a perfect protection for these wires. It is because it has good electrical capacity. And it has a insulation mechanical protection. It plays well in rust and corrosion resisting. And it supplies protection for metallic conduits and electrical antenna. Aluminum electrolytic condensers, electronic components, lights,copper bars and electric appliance cabinets will need heat shrink tube. And various kinds of rechargeable batteries, collective packing of batteries, connectors of types of power wires also buy them from the heat shrink tube manufacturers in China. Besides, outside insulating and moisture resisting coverings of cables, expansion links, shower curtain rods, curtain rods, covers of tool handles, cannot work without our heat shrink tube. It can provide perfect protection. Heat shrink tube has a good environmental sealing. And it enhances the beauty of the appearance. Heat shrink tube manufacturer HONT offers its products with the function of high insulation, functions of resisting to moisture, corrosion, and dust. They environmentally protects wires and cables in wiring connecting fields. The methods to use these products is very easy. Heat the tube by a heat gun. Then the tube will shrink by itself. It will cover the connecting position tightly. Heat shrinking tubes are made by specially tailored polyvinyl material. This wall polyolefin material is also named of EVA. There is PVC polyolefin. This material has no odour. And it has a good resistance to high temperature, most acid, alkali, and corrosion. And it has stable chemical properties. Under normal temperature, polyvinyl dissolves in ordinary solvents. Moreover, adhesive lined heat shrink tube has high water absorption. And it has a good insulating ability ad well. So polyvinyl-made products can provide the perfect insulating protection. It are used to protect electrical wires, cables, terminal blocks and etc. It is necessary equipment for audio facilities, computers, televisions, and many domestic electrical and electric appliances. It is frequently used in digital equipment and electrical manufacturing industry. These products are produced by heat shrink tube manufacturers in China. They are good at insulating, shrinking at high temperature, anti-burning, soft and resisting to corrosion. They are good assistants for the maintenance of facilities. And they are flame retardant. They are usually used in the electrical insulation for electronic, domestic electrical appliances, batteries and so on. And by the using of dryer to make them shrink. It can reach the goals of insulation and protection, for the heat shrink tube manufacturers. Electric hair driers, warm air machines, heat shrinking machines are good tools for the products. It will cost warm air machine several seconds to roast equably. If the sleeve is a bit short, we can also use a lighter for heating. Its high insulation function has guaranteed the safety of using electric power. The raw material polyvinyl has good performance in water proof, resisting to corrosion. And its insulating ability is very strong. So it is safer to use. What is the quality guarantee for heat shrink tube manufacturers? This product is smooth in the outside. It is complete in the appearance. There is no obvious scratch, no sags or crests. And no bamboo shaped flaws are allowed. It is bright and clean. There are no oil contamination, no dusts. 1. Choose good colors from heat shrink tube manufacturers. There are black, yellow, white, blue, green, red, transparent in the color of these products. It is convenient to deal with the classification during the work. And it is also very beautiful. If you need other colors, just contact us. 2. Choose green environmental friendly material from heat shrink tube manufacturers. Product from HONT, the top heat shrink tube manufacturer is made by green environmental friendly material. It is safe to use. Our raw material has been approved by UL certificate and halogen free tests. Besides, heat shrink tubes of our company have passed ROHS Certificate of European Union. 3. Choose products equably shrinking and doing well in anti-heating. After the shrinking, the circular degree is very high. And it shrinks equably. It completely fits wires. It has greater heat resistance. And it has longer use persistence. Our productss have superior shrinking ability. It is shrinking at high temperature, plastotype when it turns cold. The sleeve is just like a tailor made protection umbrella for products. It is resisting to water, dust. And it can be doing well in insulating, just like a thin wall. 4. Choose products protecting the wires quickly. Good quality could turn wiring connecting pretty, safe, and convenient. Temperature of shrinking is not high. And the speed for shrinking is quite fast. Lighter, open fire, heat guns are the perfect choice for heating our heat shrink tube. It is fast and easy to operate. Several seconds can finish the whole shrinking process. Our product does well in anti-aging, difficult to break, good elasticity. Our buckling, swaying and series of data have been past strict and reliable tests. Under the temperature of 120℃, heat shrink tubing will not drip. And they could match the long term operation demands of the electric power system. After the process of shrinking, heat shrink tubes can have arbitrary bending. And higher ability to stand tearing and wearing. 1. Prepare related materials. We need to have some knowledge of the cable’s diameter. Or we just do it according to the length and width to calculate the related diameter. Then choose the cable with bigger diameter than our heat shrinking tube. 2. Clean rags and sharp corners on the cables. So it is in case that these rags or sharp corners will impale heat shrink tube. It will result in cracks directly. So it is necessary to clean oil contamination, impurities on the connecting position of the cables. 3.Calculate the needed length for tube produced by the heat shrink tube manufacturer. Then cut the heat shrink tube with related length. During the cutting process, the incision cut should be tidy and smooth. It is without any cracks or rags. So it is in case of cracking extending. 4. Put the heat shrinking tube covering one cable end. Then move the tube to appropriate position. If the cable have some bending part, we need to neaten this part. It is in case of wrinkles. 5. The common tools for heating are heat guns, ovens, or hair drier. During the heating course, we should heat in one direction from left to right or right to left. Your can also start from the middle part to the two ends as well. It is in case that the air are left inside the tubes, after shrinking the air cover the cable in the tubes tightly. In addition, it is not available to concentrate to heat at one position. And it is not okay to heat the close to the surface of the tubes. It is in case to hurt the tubes and result in wrinkles. What is the attention tips for using heat shrink tube? 1. Don’t put the heating equipment close to the heat shrink tube produced by heat shrink tube manufacturers. It is necessary to keep a distance from the fire to the heat shrink tube. It can be 4-5 cm to move evenly. When it is in the course of heating and shrinking, the temperature cannot higher than the maximum temperature. If the temperature goes higher than the maximum limit, the tubes will start to melt. And the tube may turn back to the original state. 2. Choose an appropriate tool for heating. The angle between the outer flame and the heat shrinking tube is suggested be 45. In addition, we should keep moving the heating tool during the whole heating course. So it can make the whole tube heated. And when we move the heating tool, it is also very crucial to move in one direction from one end to the other end. Heat the tube evenly, no bubbles are required. It is to guarantee the pretty look of the outside appearance of the tube after the shrinking. Then make some tiny modification after it cools. 3. Heat shrink tube has various shrinking rates. The specifications of heat shrinking tube are many. It usually mean the arithmetic products of the maximum inner diameter after the shrinking. For example, the heat shrink ratio is 2:1. That means we can choose the heat shrinking sleeve’s diameter twice our product. If the diameter of the products is 20 mm, we could choose the heat shrink tube of 40 mm diameter. It offers strain relief for the users. Sometimes, we will choose the outer diameter same with heat shrink tube made by heat shrink tube manufacturers. The protection of power system station need heat shrink tube. And the electric appliance cabinets also needs the professional heat shrink tube. And some fields with sealing requirements should choose water proof heat shrinkable tube. How to tell the high quality heat shrink tube and bad one? 1. From the appearance of tube made by the heat shrink tube manufacturers. Heat shrink tubes are smooth on the surface. It has leveling shape. There are no big or obvious wrinkles from the vision. We need to take a close view to find out if there is impurities or bubbles on the surface. For adhesive heat shrink tube, we should watch if there is shedding phenomenon on the surface of the adhesive layer. And whether the color of hot melting adhesive turns yellow. For the long stocking adhesive heat shrink tubes, they usually have yellow adhesive or adhesive shedding phenomenon. 2. From the thickness of the tube made by the heat shrink tube manufacturers. It is better to measure if the thickness of the tube is even by vernier caliper. And if the tubes are qualified. 3. From the material of the tube made by the heat shrink tube manufacturers. The material of heat shrink tube has decided the parameters of basic performance and characteristics. P, PVC, EMDM, silicone rubber , PVDF PTFE are different in the raw materials. This will lead to different applications in the industry. For the common protection, insulation of the wiring cables. You are better choose our common PE heat shrink tube. It can hold it perfectly. 4. From the shrinking rate of the tube made by the heat shrink tube manufacturers. We can try to cut one length of heat shrink tueb. And then heat and shrink it by lighter or some other kinds of heating tools. Compare the shrinking rate and situations with other companies’ heat shrink tubes.The ones which have higher quality and shrink completely are qualified products. 5. From anti-fire level of the tube made by the heat shrink tube manufacturers. Just use the same method to ignite the heat shrink tube. And leave the fire after ignition. Compare different companies’ tubes’ time of being out automatically. 6. From hardness, tensile strength, voltage resistance of the tube made by the heat shrink tube manufacturers. We can find all these parameters by buckling, tearing and etc. Here is PE double-wall heat shrinking sleeves’ parameters. 1. Inner diameter of double-wall heat shrink tube. As we all know, the cross section of annular tube is cyclinder tubulous shape. Inner diameter means the diameter of inner wall. It is namely the direction between the inner wall. Usually, we use the letter to represent. It is professionally to be the representative of diameter in the field of engineering. Number following means the diameter’s number value. If there is no units follow, it means the unit is millimetre. For example, 6 means that the inner diameter is 6 mm. 2. Wall thickness of double-wall heat shrink tube. The second parameter is wall thickness of heat shrinking sleeve. The inner diameter can reflect the size of the tube. So what is wall thickness used for?Intuitively speaking, it is the reflection of the product. Is it thin or thick. What is the influence of “thin and thick”? It is known that our product is used for insulation. The issue of “thin and thick” will directly affect the function of insulating protection. As We all know, thicker coat can offer higher resistance to cold and keep us warmer. If the coat is thinner, we will feel cold. And the coat’s function of resisting to cold decreases. And the thickness of the products made by heat shrink tube manufacturer is the effect factor of the protection ability. Thus, in comprehensive opinion, thicker wall means the thicker the wall is. And it also owns the stronger mechanical ability. Applications Solutions of heat shrink tubes? Normal shrinking temperature of heat shrinking sleeves is in the range of 125℃. When it is higher than the limit, and the sleeves are shrinking in the ovens or tunnel kilns without any order. There may appear some problems as below. Q1: Heat shrinking sleeves tick to each other, leading to broken holes in the products. A1: 1.Put all the products in order on the flutting paper. It is in case of sticking to each other. 2. Reduce the shrinking temperature to 110℃ for shrinking. 3. Choose the normal thick wall of heat shrink tube produced by heat shrink tube manufacturers, or thicker wall. Q2: When the length of heat shrinking sleeve is more than 50 cm, the course of shrinking will produce bubbles. A2: 1. When shrinking, it is better to shrink from left to right in one direction. 2. Shrink with hot water, if hot water has no influence on the products. 3. Inform our company’s technicians for special manufacturing. Q3: The stretching of product will result in shrinking problems. A3: 1. Our company’s products are controlled within 5 percent. If there is the smaller stretching requirements, inform us for special manufacturing. 2. Slim tubes may lead to different shrinking lengths of products. Suggestion: Shrink both two ends of heat shrinking tube by hair drier. Then shrink the middle part. Q4: Customer has the requirement for cutting the tube. It is very important to have accurate calculation. A4: Suggestions: 1. Calculate the size of cutting tube accurately. Then inform the customer the tolerance. 2. When the cutting requests for length is more than 30 mm. And the demand for stretching is very strict. It is necessary to mark for special manufacturing in the order. A5: The size of drive pipe is too big. It is bigger than the customer required size after shrinking. 1. Use smaller size product to take the place of current one. 2. Use high shrinking rate product. 3. Rest without shrinking products, use low-temperature tubes. These shrinking temperature is low. Q6: Drive pipe’s wall is too thick for shrinking. And the speed turns low. A6: Suggested solution: Use high shrinking rate product. Super thin product of our company is also okay. A7: 1. Here is too many types of specifications and colors of heat shrinking tubes. The color is greatly affected by mixed master batch and the batch of raw materials. 2. There is different between high voltage busbar and low voltage busbar. It is because of different formula system. It will result in different colors oF heat shrinkable tubing. Different batches, different colors of heat shrink tubing manufacturers. It is because the raw material may not come from the same batch. HONT is a professional heat shrink tubing manufacturer. Our factory is located in Liushi. Liushi is the low voltage electrical appliance capital in China. The company holds the global leading technology, equipment, and the testing center. HONT is creating the most creative, reliable, and safest standard for the field. We are one of the top most organizations in providing heat shrink sleeve, heat shrink protectors and other splice protection items. Our products are developed by a team of professionals and implemented by the marketing personnel. We have over 1000 satisfied customers in all around the globe. We are rohs compliant. We are specializing in manufacturing heat shrinkable products, solutions. And its services offered for a variety of applications. In addition, we provide the following products. Moreover, our products are well suited for electronic, electrical and automotive applications. We are designing products very professionally. And we also manufactured the heat shrinkable joints for all kinds of cables. Our main motive is to supply the heat shrinkable products for maximum applications. We deliver the custom-made products depends on our customers’ specific requirements. HONT has achieved proud performance and achievement. It has scientific and strict management. And it obtains a strong support from all walks of life. Its market share is increasing, and shows a good momentum of the development. Our company insists the service idea of “Base the core of high quality and brand, surrounding market sales, under the guide of honest service”. We are equipped with strong technology power. We have a team of professional talents. They are devoted in the exploring and researching the technical formula of heat shrink tube manufacturers materials. Besides, we have a complete set of technical control and manufacturing monitoring facilities. And we also have perfect quality management system. In a short several years, our company has ranked in the famous known heat shrink tube manufacturers in China. HONT man grasps the pulse of the times. They own practical working style. And they are unceasingly purchasing innovation and exploring spirit. Confronting new challenges, all HONT men will become one heart and one mind. They are uniting as a wall. They are going beyond themselves. They want to challenge the future. It is because they are supplying higher quality level products and providing more perfect service solutions. 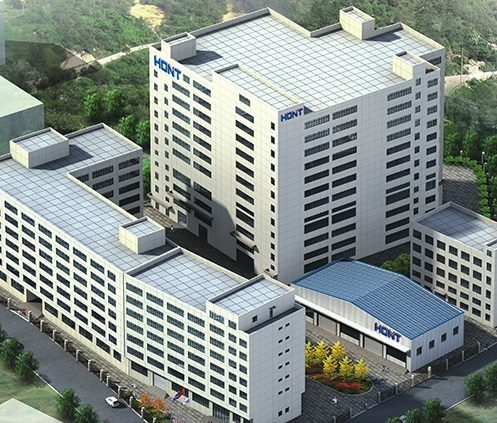 HONT, the heat shrink tube manufacturer is moving ahead with strong determination talents. And it has superior production craft. Besides, it has strict management system. The system is in the improvement. Contact and visit HONT without hesitation!